We are having pleasure to introduce AL MAZROUEI IPM established in 2005, a member of the AL MAZROUI GROUP as one of the distinguished companies in UAE specialized in the following fields. • Roofing and waterproofing system and thermal insulation. • Steel and concrete tank lining. • Stamp concrete and stucco wall finishes. a) Grinding/leveling of concrete surfaces. b) Captive blasting of concrete/ steel surfaces. Responding to a growing concern for a construction material protection and environmental problems, our product range is carefully chosen to serve today’s increasing demand for advanced engineering materials. Our firm relies on a highly qualified and motivated team of Supervisors, Engineers and many of them have an experience of more than 23 years in the market and know how through seminars and training course aboard. 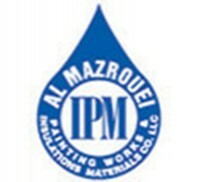 Today we can assertively assure you AL MAZROUI IPM premium quality service, both in material supply and installation. Looking forward to develop a reciprocally beneficial relationship between our companies, and we remain at your entire disposal for any further assistance you may require.